72% of entrepreneurs are concerned about their mental health. The brainHEALTH Project provides resources for an entrepreneur to protect and heal their mind from the stress of running a business. BrainHEALTH brings together entrepreneurs to engage in open and candid talks about their struggles, guided by a proven instructor. Engage in round table events, lunch and learns, training, and community groups designed to equip you for better mental health. Develop new habits, behaviours and strategies to increase personal effectiveness while improving mental fortitude. Resilient minds enable better businesses to stimulate a stronger, more vibrant economy. A passionate movement of innovators mobilizing collective energy & common purpose for the development & stewardship of a self-sustaining social impact ecosystem by engaging in participative & meaningful conversations with our local for-profit social entrepreneur community about social impact & social enterprise to co-design our eco-system – today and into the future. We believe long-term enterprise engagement is fundamental for supporting and facilitating growth for all businesses, but particularly impact businesses. We intend to bridge the gaps and surmount the barriers that occur when entrepreneurs graduate from school, or traditional accelerator programs that are too short. 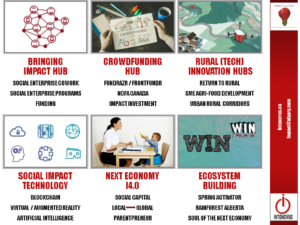 We aim to bring Impact Hub to Calgary in order to inspire and create change in the community. Impact Hub is an expression of who we are – a passionate movement of innovators mobilizing collective energy and common purpose for the development and stewardship of a self-sustaining social impact ecosystem. 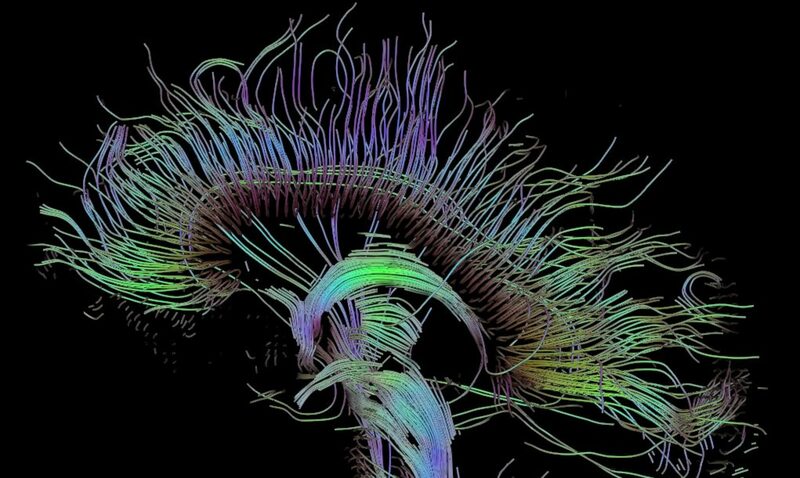 We are CONNECTORS and COLLABORATORS. As firm believers in Human Centred design, Design Thinking, Systems Thinking, Creative Intelligence, Experience Design, and User Experience we want to put these frameworks, methodologies, and approaches to work for social innovation. We believe that involvement, empowerment and, engagement are driving forces we need to create change, but to scale ideas towards action (real impact in sustainable ways), there needs to be a strong ecosystem that can Think Global/Act Local <=> Think Local/Act Global around social impact, impact businesses, and impact investing. As uber-connectors we believe that the ‘networking of networks’ is the large-size-scale of collective action needed, not only to catalyze impact locally and globally, but to create the opportunities for intersects and collisions of social innovation and entrepreneurship capable of tackling the increasingly complex problems facing the world. Calgary boasts more millionaires per capita in Canada, and Albertans give generously of their time and money for charitable causes. We believe that with education, support, and opportunities for investments, over philanthropy only, we can support social entrepreneurs to be able to launch and grow to success faster and stronger. There is a strong need for impact investing, but even more so to educate impact investors, local accredited investors, and others. We have had some validation that a model of educational content and peer support may be a viable and successful way to encourage impact investing. For two years we have been working towards the creating a $20+ impact investment fund to make mission-focused investments that combine social and financial impact. Our goal is to help Calgary’s social entrepreneurs and innovators access the funding and resources they need to grow and stay in Alberta. Virtual reality has its roots in film. Filmmakers have a 130+ year legacy of working towards transforming the reality we see into ever more immersive experiences. In the last 2 years, technology has finally started to bring to life the promise of fully immersive visual experiences. As Canada’s fourth-largest filming jurisdiction, Calgary has the technology and the talent to create and showcase high quality world class content. The target audiences includes anyone interested in the verticals related to the creation and application of immersion technologies including researchers, academics, engineers, industry professionals, artists, directors, producers, writers, editors, enthusiasts, and many more broad creative, commercial and industrial applications.